The Home Minister took stock of the prevailing situation in Jammu and Kashmir, particularly the two routes to the shrine, located in the Himalayas at an altitude of 12,756 feet during the hour-long meeting, official sources said. 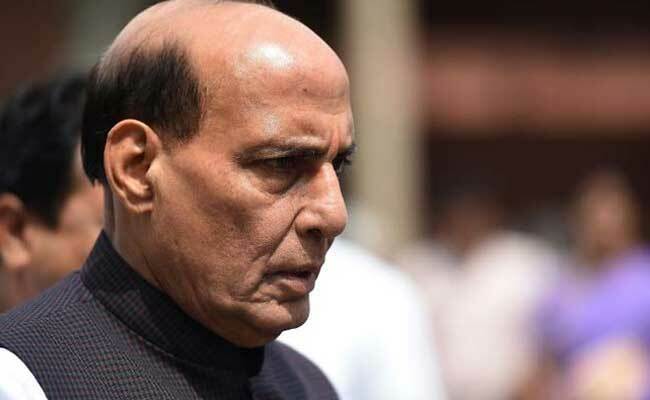 New Delhi: Home Minister Rajnath Singh today reviewed the security situation in Jammu and Kashmir and ordered enhanced security for Amarnath pilgrimage in the wake of the killing of seven devotees in a terror attack. National Security Advisor Ajit Doval, top officials of the home ministry, intelligence agencies and central paramilitary forces attended the meeting. Issues like security of Amarnath pilgrims and how to prevent such possible attacks in the future were discussed. Sources said the home minister directed the officials to ensure enhanced security for the pilgrims. The pilgrimage started on June 29 and will conclude on August 7. Immediately after the meeting, the National Security Advisor briefed Prime Minister Narendra Modi about the deliberations as well as the steps taken for the security of the Amarnath pilgrims, sources said. A high-level central team led by Minister of State for Home Hansraj Ahir is also visiting Jammu and Kashmir to assess the security of the pilgrimage to the cave shrine of Lord Shiva. Director General of the CRPF, RR Bhatnagar, has already reached Srinagar to review the deployment of central forces in the pilgrimage routes. Terrorists killed seven Amarnath pilgrims, including six women yesterday and injured 19 as they struck a bus in Jammu and Kashmir's Anantnag district. As many as 21,000 paramilitary personnel in addition to state police forces have been deployed for security of the pilgrimage routes. The number of paramilitary personnel deployed this year is 9,500 more than last year. However, the pilgrims were travelling in a bus which was not part of the convoy of vehicles taking the Amarnath pilgrims with adequate security. The bus was attacked around 8:20 pm last evening in Anantnag district when it was on its way to Jammu from Srinagar. The police said the bus driver had violated rules for the pilgrimage, which state that no yatra vehicle should be on the highway after 7 pm as the security cover is withdrawn after that.